Does your office have too much stuff? Get a storage unit from Eagle Storage as we help many companies with their storage needs. Is your Home Office out of control? With a call you will get rid of the mess and have it in a facility that is clean and owner operated. Office Downsize? In this difficult economy do you have office stuff you need to store until business picks back up? A storage unit might be the answer. Take back the conference room! Your conference room is for meetings not to store your supplies, inventory or anything else. 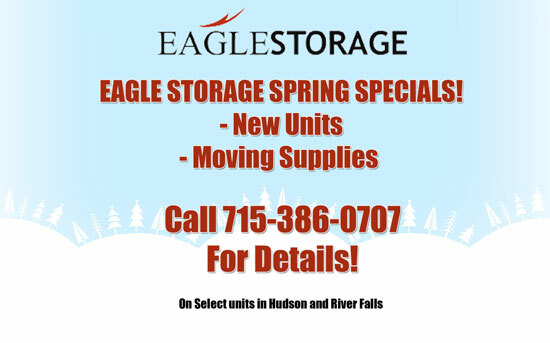 Get a unit from Eagle to solve your office storage issues. Don't get boxed in, store it at our facility near you. If your house or business is too cluttered call to get a mini storage unit to get organized! Call Eagle Storage, we have many sizes of units so call to check on which ones would be the best for you.